The temperatures are getting warmer and this means it’s time for spring cleaning! Besides cleaning flower beds and planting a garden, spring is ideal for many repairs on the exterior of your home. Fresh air in your home is wonderful to air out each room, but what if you are also welcoming in mold and mildew? 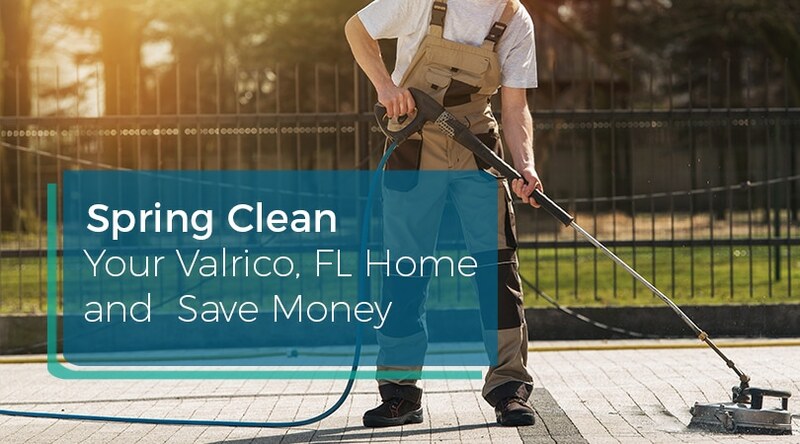 Ball Building Services recommends these chores for spring cleaning on your Valrico, Florida home to save money down the road. It’s common for winter weather to blow debris around your yard and on your air conditioning unit. Remove sticks, leaves, clumps of grass, dirt, and other debris that may create blockages and prevent you from noticing damage. An easy and effective way to remove debris and uncover potential problems and is by using a pressure washer. You can clean windows, your driveway, siding, and remove mold and mildew. Your home will look bright and fresh! Remember, mold and mildew grow rapidly in the humid Central Florida summers. The more you remove now, the less you will deal with later. You may not need an entirely new roof, but small repairs on the roof are common. Seal possible leaks on the plumbing vents and flashing around the chimney. Blockages and leaks may lead to costly repairs down the road, especially if this causes the air conditioning unit running more than what is usual. Summer can be smoldering if your air conditioner is not working. Get ahead of potential maintenance by scheduling an HVAC technician to inspect your system. They will identify parts that are wearing thin so you can make informed decisions about when to repair or replace different parts. Low refrigerant is a common problem with air conditioning in Valrico, FL that will leave you sweating – in more ways when you discover the problem right before your first summer BBQ. If you are ready for a spring tune-up on your HVAC system contact Ball Building Services. We serve the Greater Tampa Area working on both residential and commercial systems. Contact us today to schedule your spring tune-up.